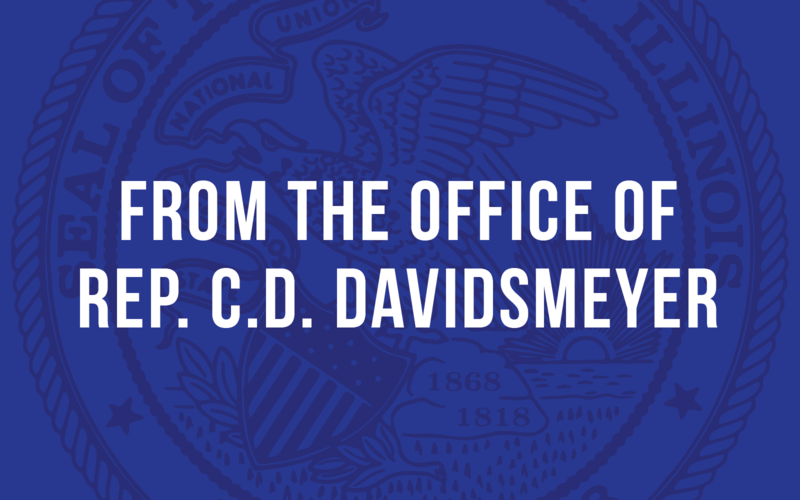 In this week’s update Rep. Davidsmeyer discusses the second Committee of the Whole in 2 weeks, Right to Work and improvements to U.S. Route 67. Last week the IL House of Representatives held it’s second Committee of the Whole in 2 weeks. The committee lasted nearly all day and focused on tort reform. The committee was subject matter only. Next, IL House Speaker tried to force an amendment on a bill to make IL a “Right to Work” state. The amendment was soundly defeated without a single “yes” vote. Be sure to sign up for Rep. Davidsmeyer’s e-blast at www.cddavidsmeyer.org.